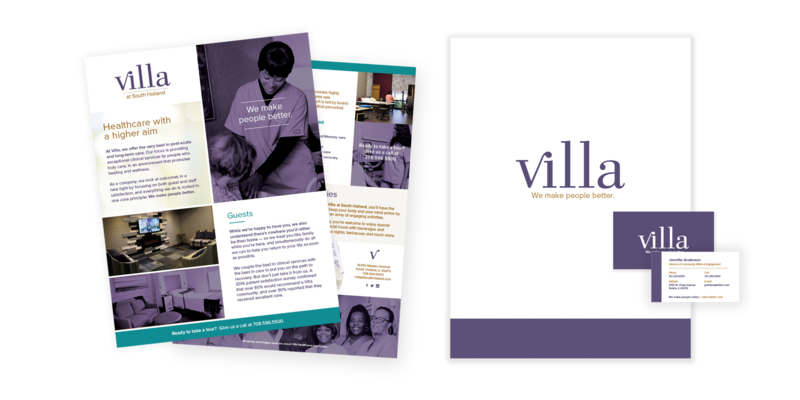 Villa Healthcare, a collection of post-acute and long-term care facilities, needed updated branding to match the boutique, hotel-like environment they offer guests. 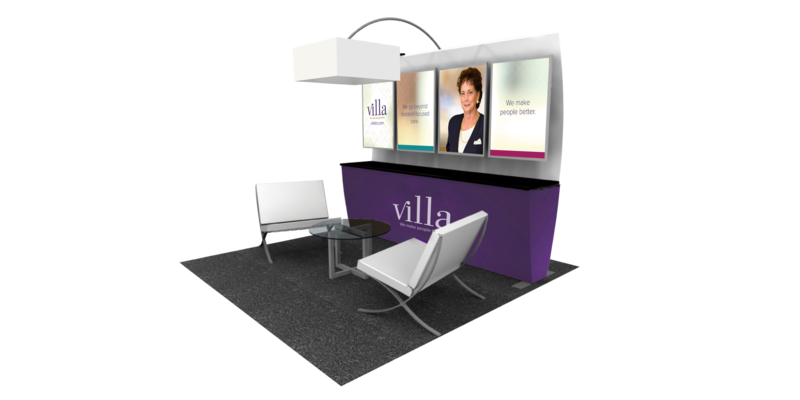 By focusing on top-notch clinical care and providing a concierge-like experience, Villa positions itself above the rest in the industry. 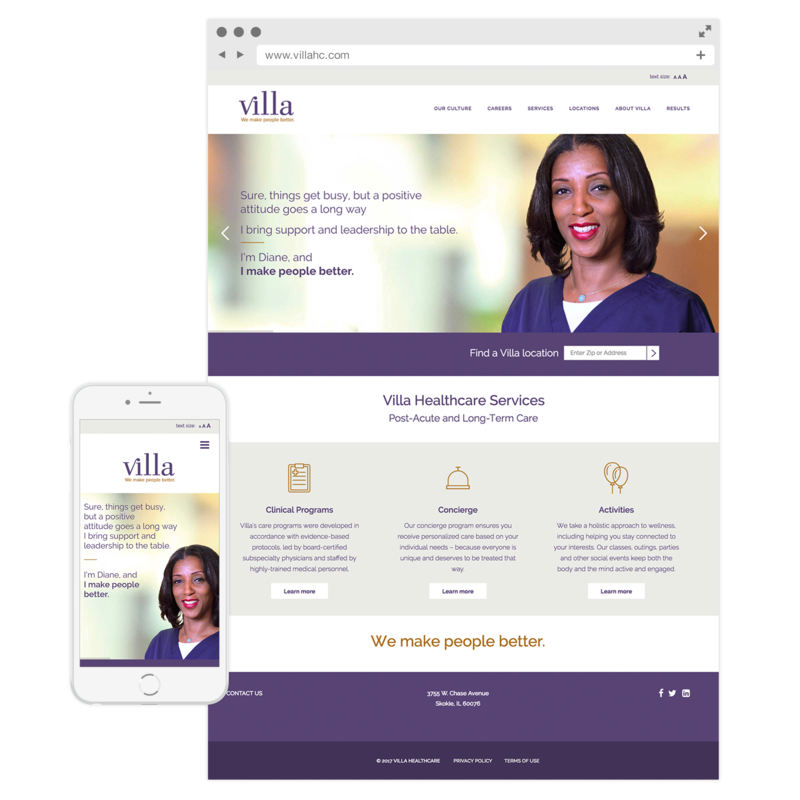 As a company that prides itself on never settling, it was important to convey how this extends beyond care for residents – it applies to care for their employees, too. 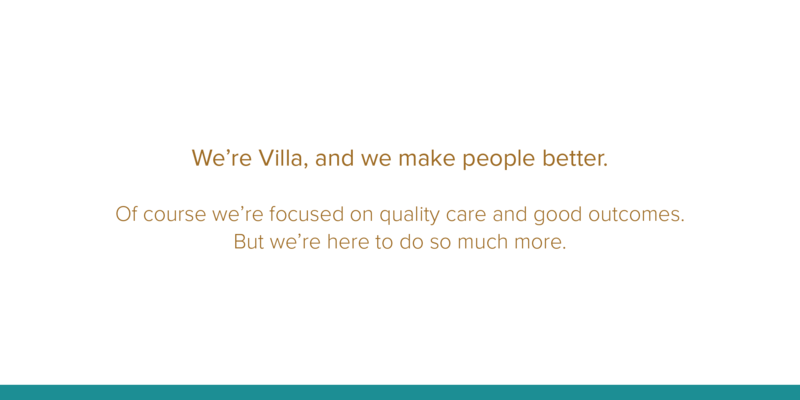 Quality services for those who need it is a Villa mainstay. But we bolstered that mainstay through the idea that never accepting the status quo as a company would inspire employees to do the same. 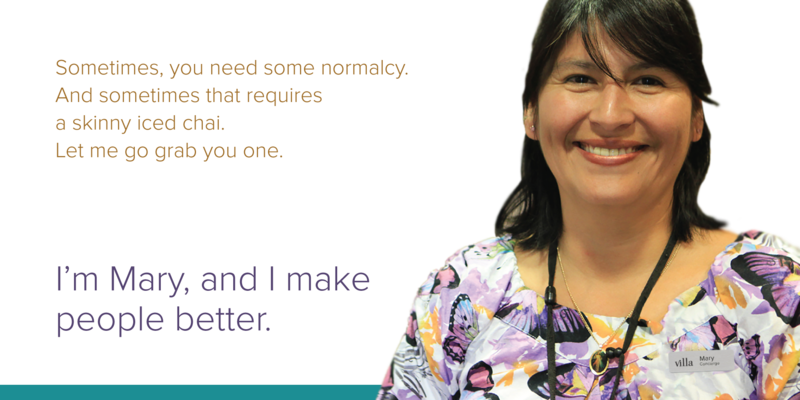 This, in turn, leads to a healing, nurturing environment for all. 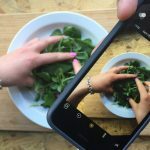 It also led us to our brand idea: We make people better. 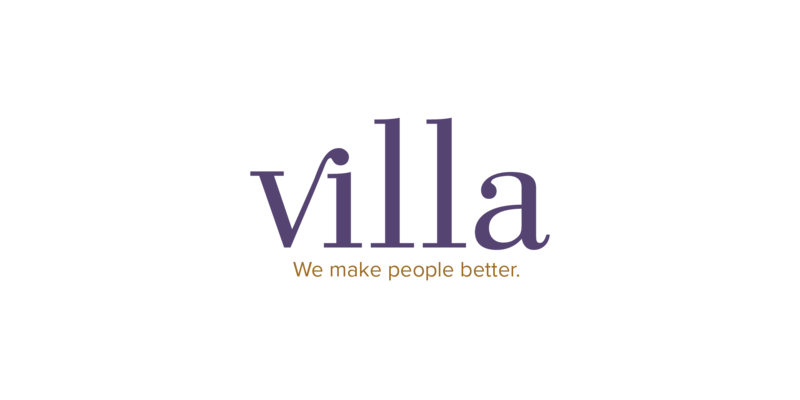 Villa provides a comfortable, luxury hotel-type atmosphere for its guests. 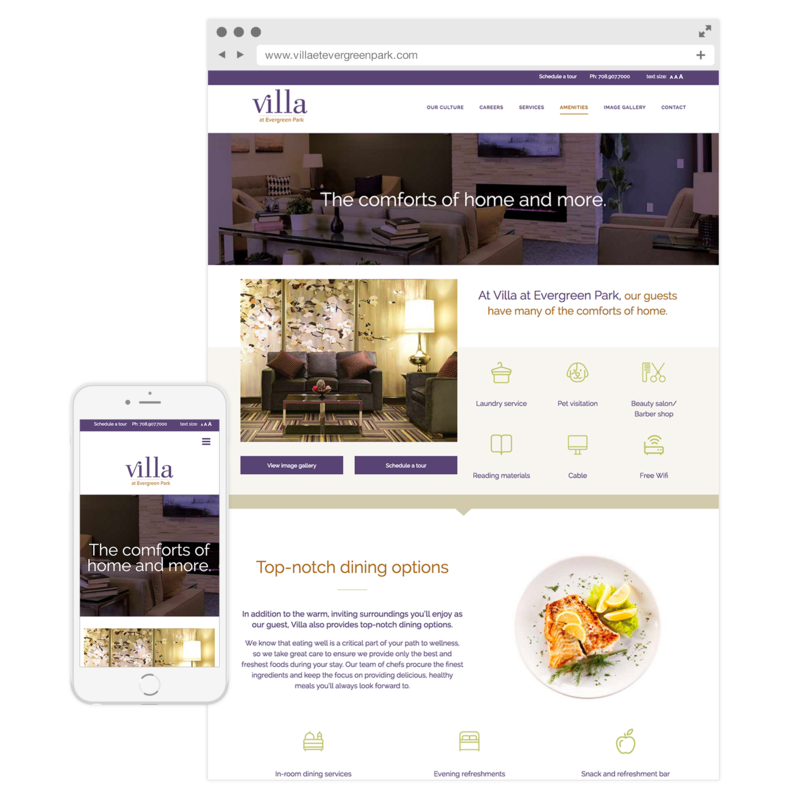 To help drive this home, we developed a bold and sophisticated color palette and a refined new logo. We incorporated atmospheric, inspirational photography with custom patterns to really set them apart. 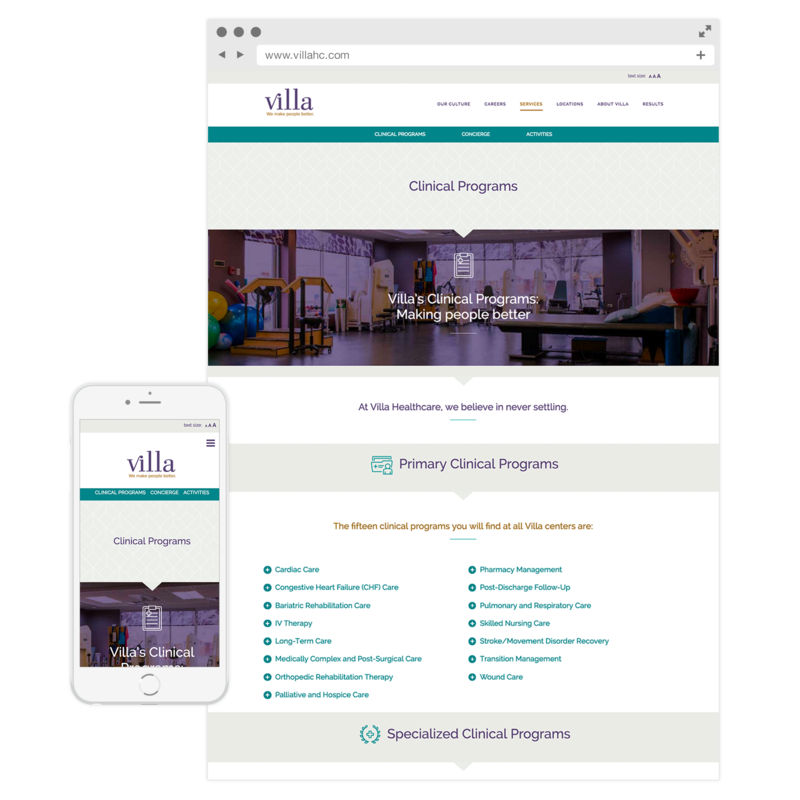 We let real employees tell the story of Villa’s concierge-like customer service, and by avoiding the use of stock photography and typical “healthcare” colors and fonts, we helped put Villa in a class all its own. 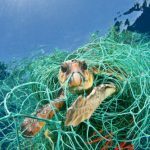 Now that Villa had a new message, we needed to get the word out and position them as industry thought leaders. 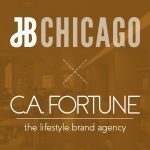 JB crafted a PR strategy that focused on sharing the company’s internal wins and growth, while securing interviews surrounding industry trends and standards. 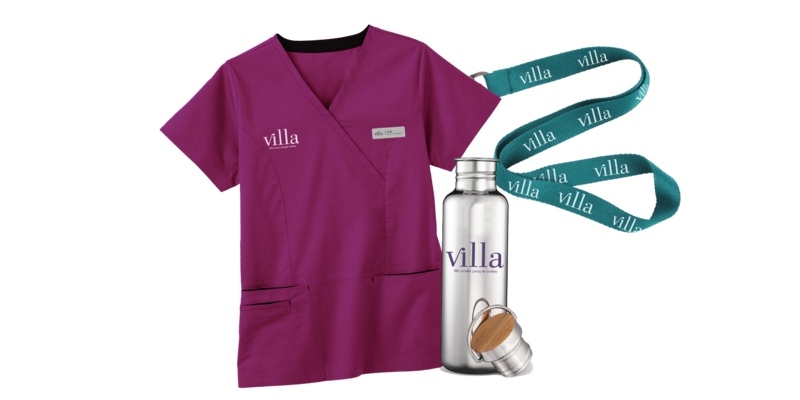 The core message for outreach hinged on Villa’s brand idea, “We make people better,” as it affords a variety of duel-lenses allowing us to serve up relevant insights for deeper customer connections. 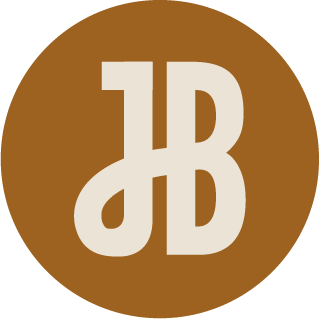 JB’s strategic outreach secured placements in industry outlets such as McKnight’s and Senior Housing News along with solidifying the company as an industry leader and resource. 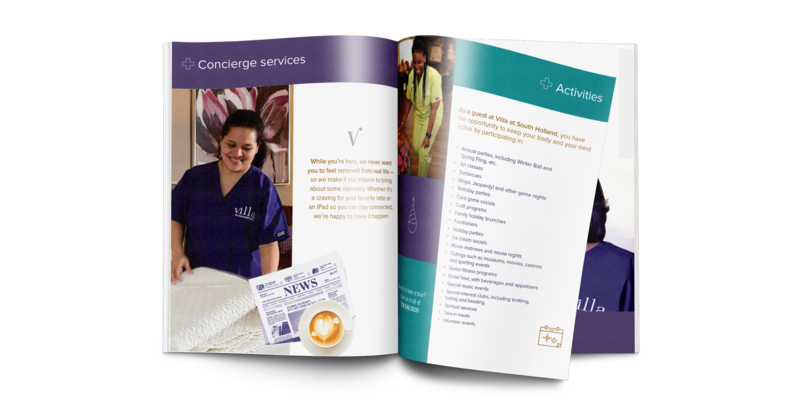 We carried the new look and feel across all platforms, developing a suite of print collateral (from business cards to site-specific and regional brochures). 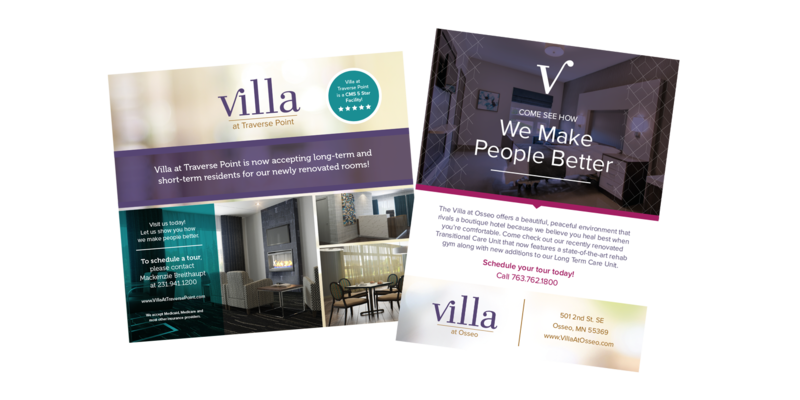 These pieces reiterate Villa’s ambition to “never settle” and to provide excellent care in a boutique hotel inspired environment.